Not long ago, I represented the buyer for the purchase of an investment property in Rancho Cordova. The duplex had previously been in contract with another buyer who ultimately was unable to complete the purchase. That buyer had obtained a few inspections on the property, which were passed along to us as disclosures. They had also negotiated a section one termite clearance with the seller and that repair work had been completed already. Section one work includes remediating things like treating for active termites and repairing deteriorated wood. That's obviously nice! However upon reading the original termite inspection that the clearance was based upon, I noticed there was a glaring omission. 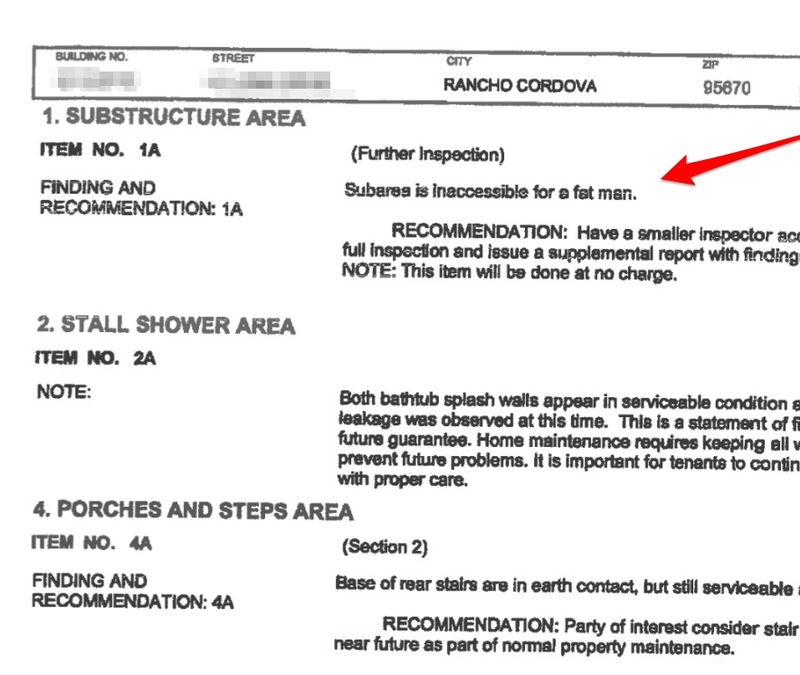 The sub-area, aka the crawl space under the structure, had not been inspected and was not included in the clearance! That's a big exclusion...often times a home that looks pristine on the exterior can have major issues underneath. So, we requested that a smaller inspector come back out to the duplex, one who could fit underneath, and complete the inspection. The supplemental inspection found some rotten floor joists. Obviously that needed to be addressed, and we negotiated that the seller took pay for those repairs. 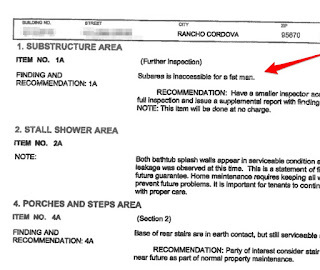 The moral of the story is -- make sure to read inspection reports that are provided to you.